Hi lovelies! 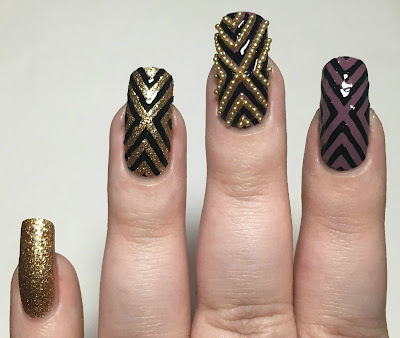 For todays post I am sharing my nail art look for February's 'Gatsby' themed MeeBox. If you missed my unboxing and swatches, you can them here. 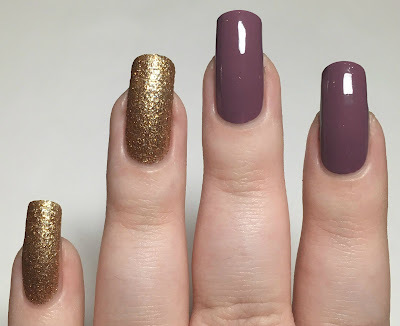 As mentioned in that post, I really like how the three polishes look together. 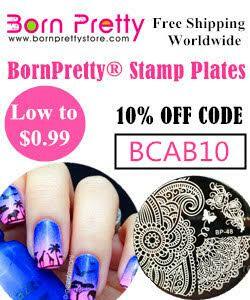 Add to that our nail art extras, and you've got yourself the makings of a fabulous Gatsby mani. Here is my final look. Read on for more info! I started by painting my index and middle nails with two coats of Color Club 'Midnight Mulberry', and my ring and pinky nails with three coats of Little Ondine 'Copper Spark'. Both are shown below without topcoat. I used the Nail-Mail.co.uk art deco vinyls to make decals. This wasn't really necessary, but I didn't want to risk pulling up the peel off Little Ondine polish - making decals also minimises bleeding and smudging. I placed the vinyls onto my mini Uberchic mat, painted over them with Maggie Anne 'Pearl', removed them, topcoated, and let them dry. I applied them to my index, middle, and ring nails. 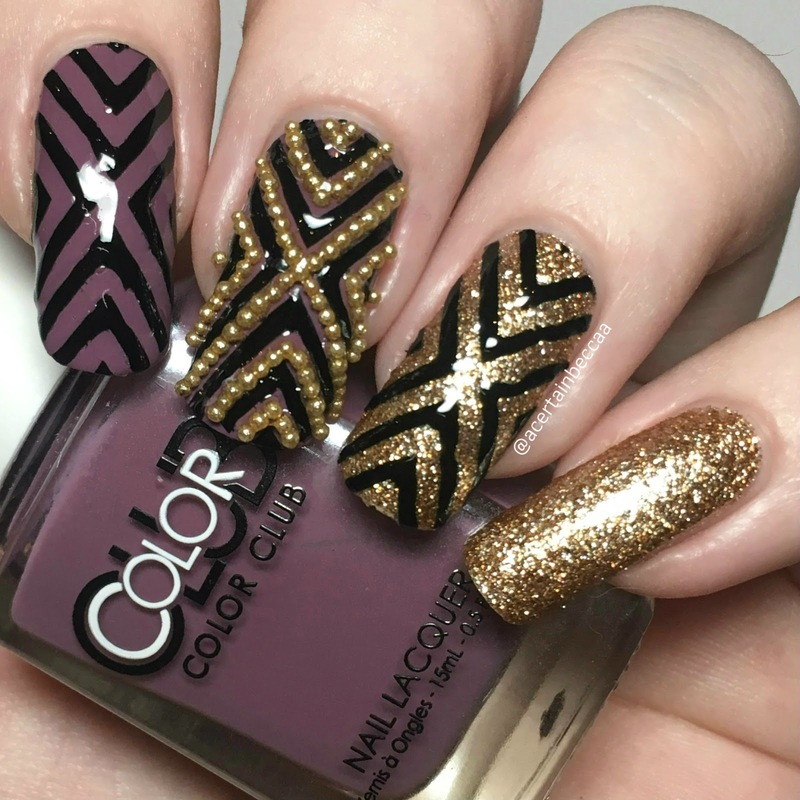 I then added some of the Sparkly Nails gold caviar beads over the purple on my middle nail, following the pattern of the nail vinyl. I had initially intended only to do one single cross in the middle, but I got a bit carried away and did the whole nail. I finished with a generous coat of topcoat. What do you think? I wasn't sure on these at first, but they really did grow on me! It's definitely a very bold look with all of the caviar beads - speaking of which, they didn't bleed at all into the topcoat, and stayed on much better than I expected! I had so much fun with this month's MeeBox, it's turned out to be one of my favourites.